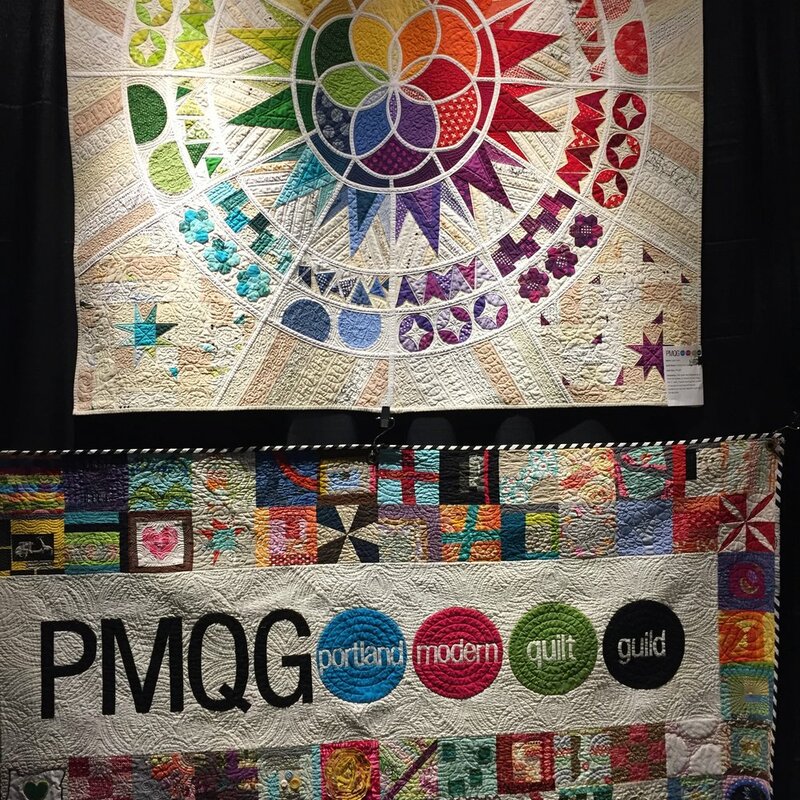 Our October meeting was a Showcase of Member Quilts. 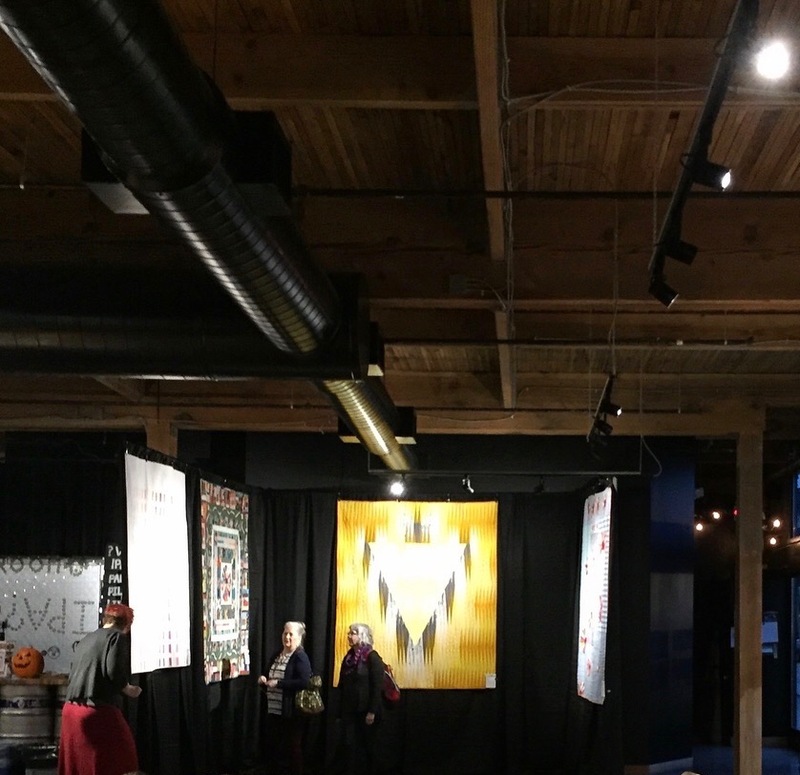 It was held at the Lagunitas Community Room in Northeast Portland. We were very grateful to have the staffed space and the beer donated by Lagunitas Brewing, and a beautiful and delicious array of food donated by Zupan's Markets (arranged by PMQG member Chelsea Clarke-Pitt). And PMQG member Jenny Rodriguez made us fun Halloween cookies. 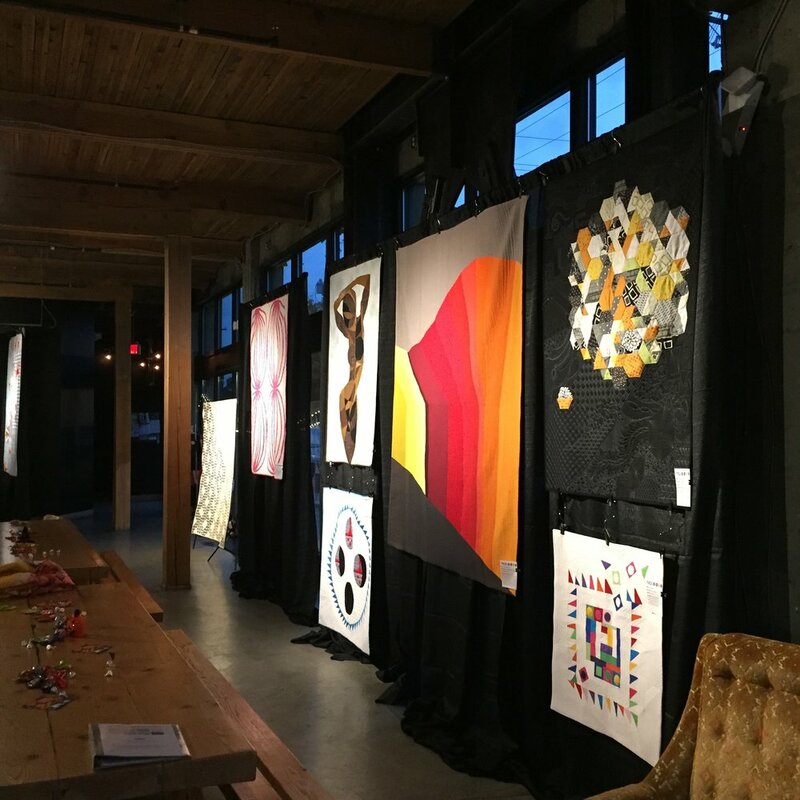 We were fortunate to have many submissions by our talented members, and our jury (more about them below) had the difficult task of choosing just twenty quilts for the show. 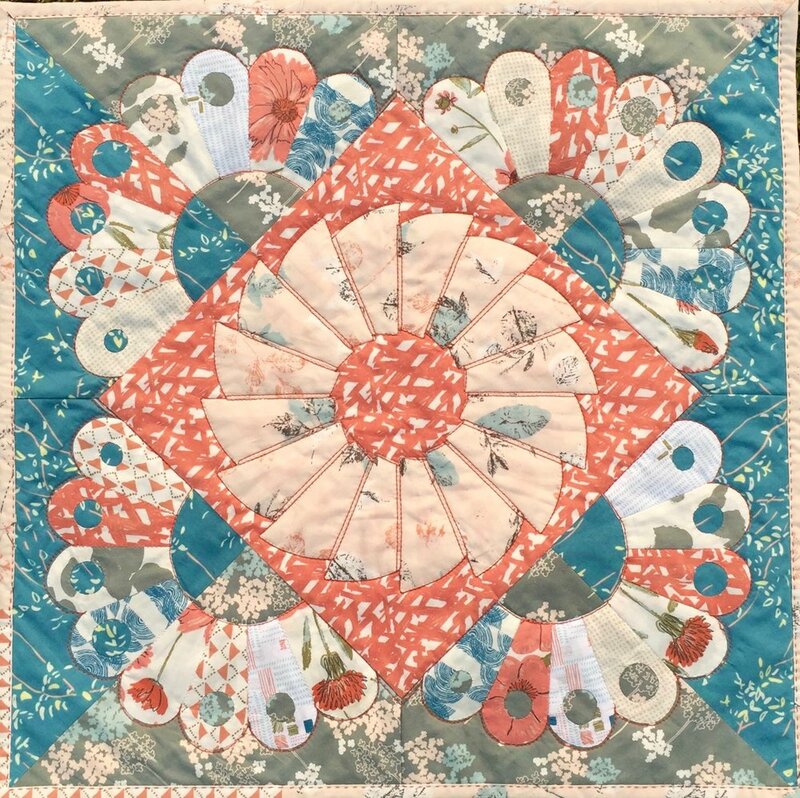 We also showed all of the mini quilts that were made for our Art Gallery Bountiful Mini Quilt Challenge, and the winners of the challenge were announced. 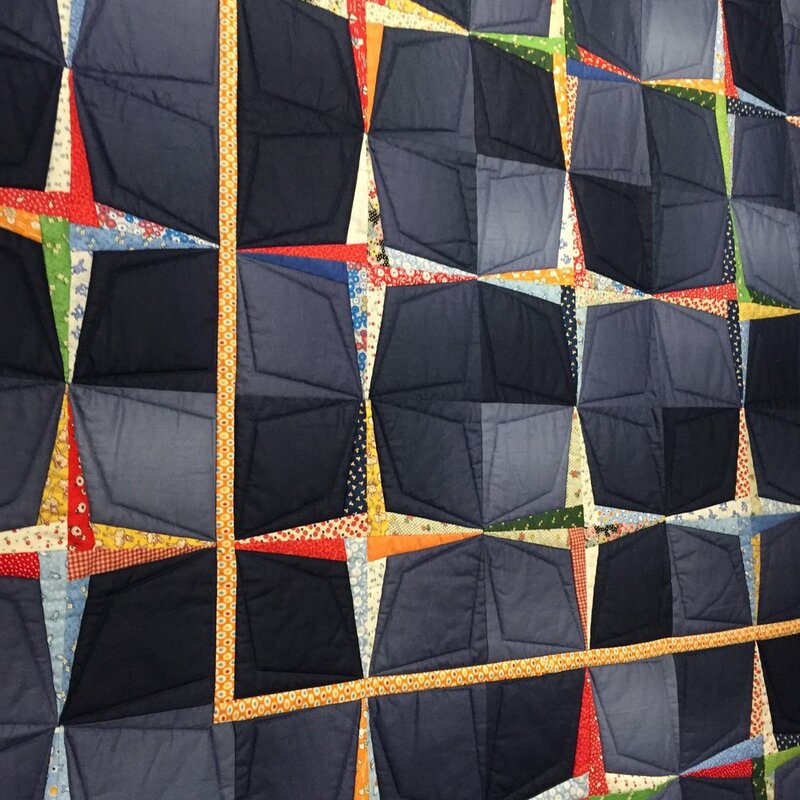 Thank you to all of our members who submitted quilts, and to all of our members who came to the Showcase and made it such a fun evening. Let's do it again next year! And a big thank you to Marilyn Joyce and Arthur De Bow for jurying the show. Marilyn Joyce is a visual artist who resides on the outskirts of Portland, Oregon. 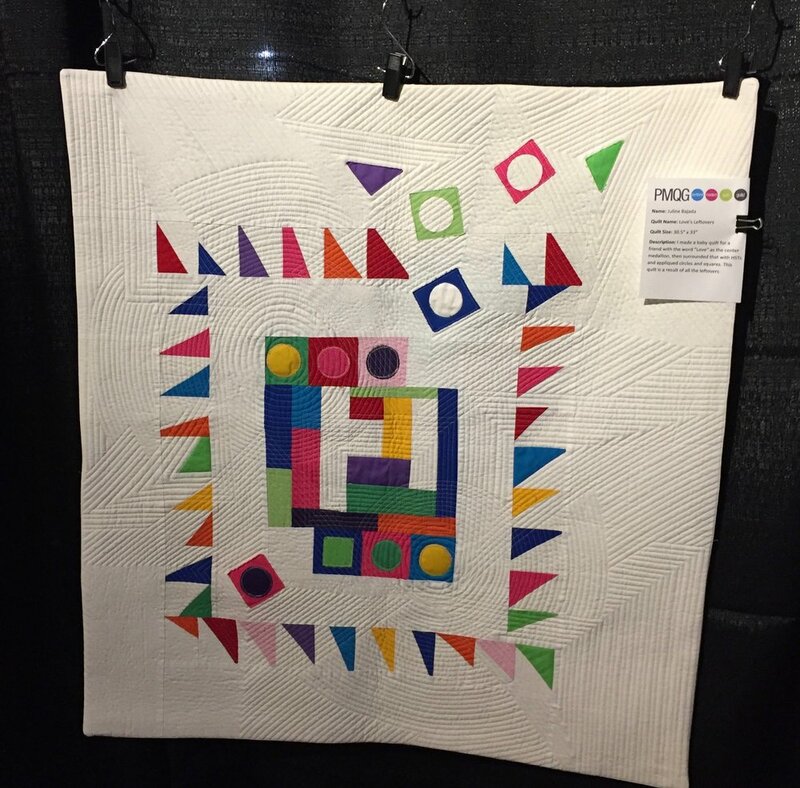 She received her BS degree from the University of Oregon and completed a post-baccalaureate program at Oregon College of Art and Craft. 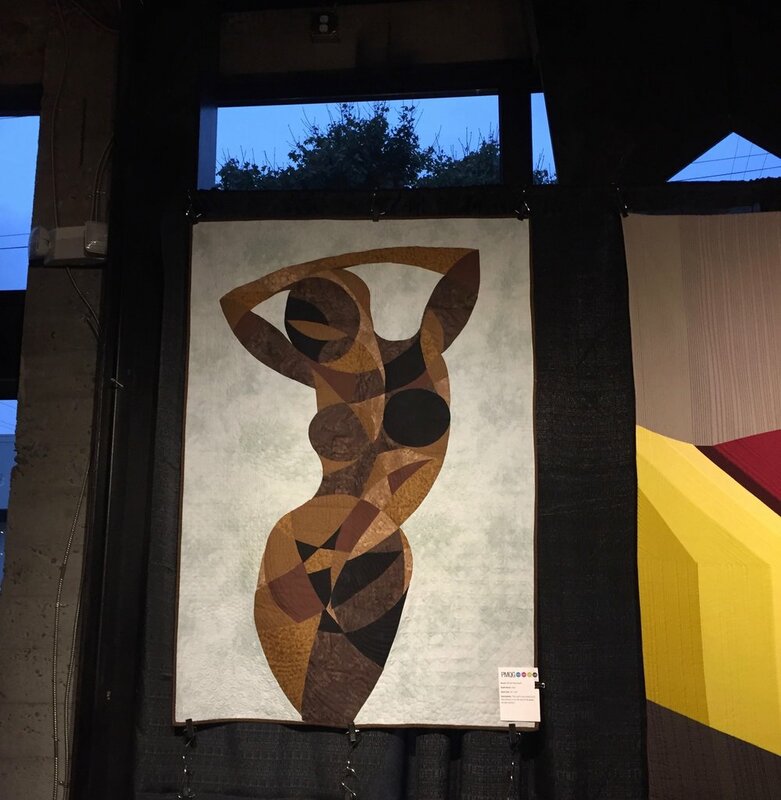 She is an educator, teaches workshops and shows her art locally, with work in private collections throughout the country. 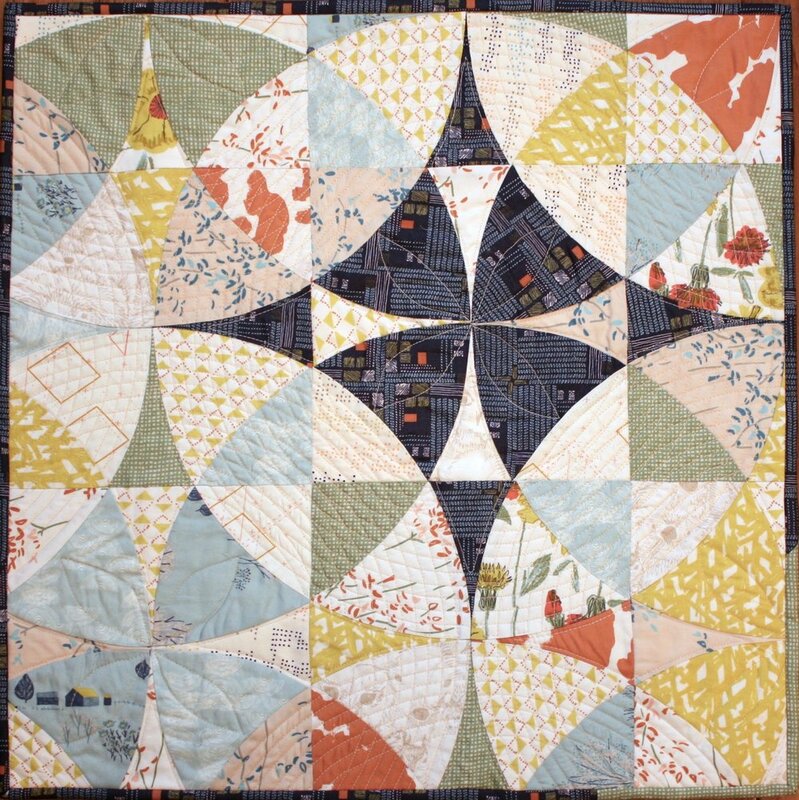 Her interest in the natural world, combined with a walking practice, provide parameters for her work. Intuitive gestures, mark-making and staining, combined with direct observation and felt experiences are distilled through the processes of drawing, painting and collage. She has a love of maps and is currently integrating mapping of specific places in her work. Arthur De Bow is the Curator at Gallery 51, Massachusetts College of Liberal Arts, North Adams, MA and previously was the Exhibitions Director/Curator and Director of Alumni Affairs at the Oregon College of Art and Craft in Portland Oregon for over 20 years, along with having been the Director of galleries in Portland and New York. He conducts lectures and workshops around the country on the business side of the arts and the presentation of art. Arthur was an Art and Design major at Norjord University, Denmark and an Art and Theater Arts major at Portland State University and also has a degree in Business and Travel Industry. 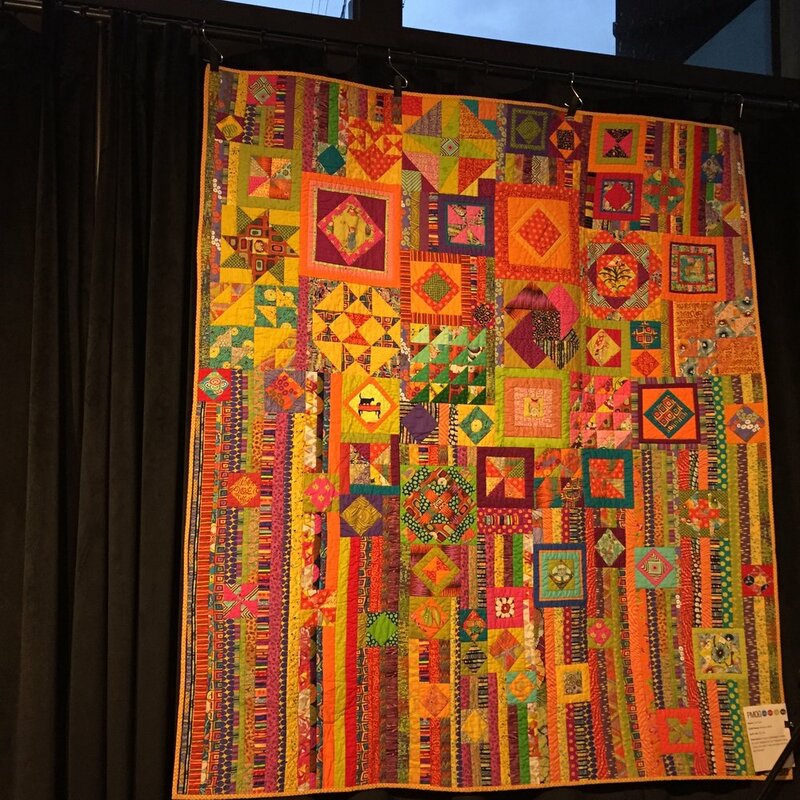 His main work as an artist is in Fiber/Mixed Media and Book Arts/Prints, and he worked for a number of years as a costume designer in Portland and New York for off Broadway. He is currently a member of the Board of: Makers’ Mill, North Adams MA, The Berkshire Art Museum, North Adams MA, The Portland Rose Festival Foundation, Portland, OR and Little Bird Arts, which promotes K-12 arts in Oregon. 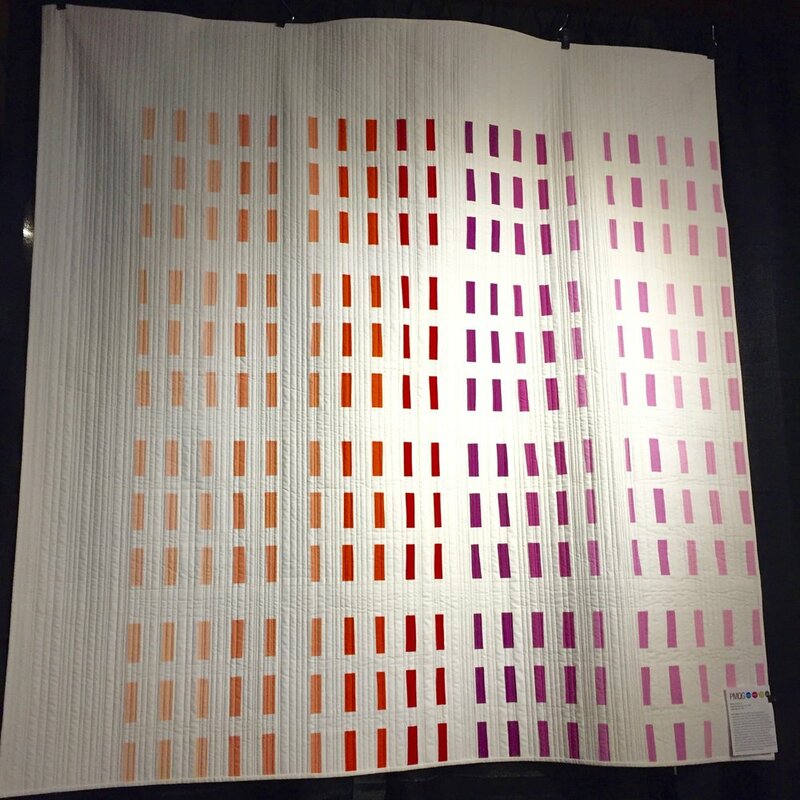 In 2015 Arthur received the Oregon Art Education Association’s Higher Education Art Educator of the Year Award for the state of Oregon.